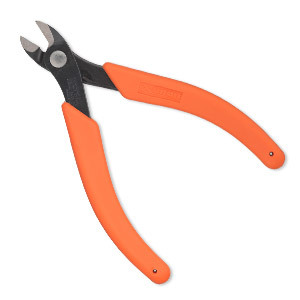 Pliers, Xuron® Maxi-Shear, flush-cutter, steel and rubber, black and orange, 6 inches. Sold individually. 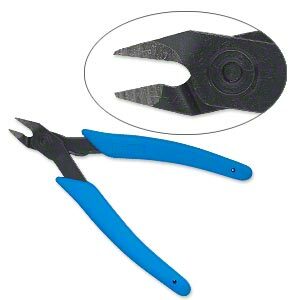 Pliers, Xuron®, flush-cutter, steel and plastic, black and blue, 5 inches. Sold individually. 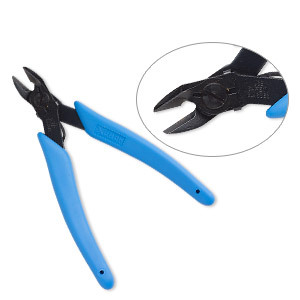 Pliers, Xuron®, flush-cutter, steel and rubber, black and blue, 5 inches with retaining clip. Sold individually. 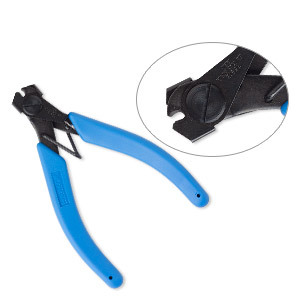 Wire cutter, Xuron®, steel and rubber, black and blue, 5-1/4 inches with self-adjusting clamps. Sold individually.